Uncertainties persist in the oil market ahead of the fateful decision of the OPEC+ members regarding a widely discussed reduction of oil production. The market keeps fluctuating in this context, while prices are highly sensitive to different rumours and speculations. Volatility stays strong in the market on Thursday. Following the recent fruitless attempts to take roots above $63-handle, Brent prices plunged to some $60.16 today. It seems that prices are likely to keep sliding further below $60 handle. The rumours that the cartel committee suggested a 1 million bbl reduction as well as agreed on new measures have been rejected, and even before the market has responded to them. Following the upturn, the US dollar has slowed downs somewhat on Wednesday, and now the trend is unclear, though mostly positive one. There is no notable boost, but the markets show some jitters. 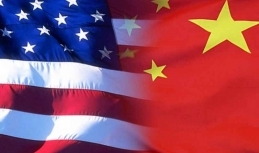 This situation can be partly connected with the overestimated results of the Washington-Beijing meeting since the initial state of bliss changed into sceptical mood regarding the success of the achieved agreements during the trade negotiations between the countries. 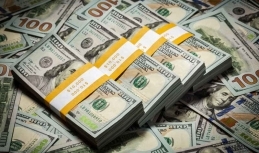 The US dollar can see some support from the Beige Book to be released by the US Federal Reserve in the near term unless the authority shares its concerns about possible economic slowdown. US President, Donald Trump is said to threaten Beijing with new import restrictions. The White House backs to its normal political messages, and this even since before the 90-day break period for intensive US-China talks achieved during the G20 summit failed to begin. For reference, it was agreed that the parties take a pause in an interchange of import duties beginning from January 1 2019. Specifically, as the US leader stated in the social network, there will be a real deal or nothing. 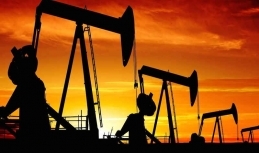 After a healthy start of the week oil prices failed to maintain recovery on Tuesday. The market is strongly affected by growing uncertainties on the upcoming meeting of the OPEC members along with generally unstable financial markets in the world. 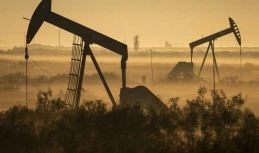 As a result, Brent prices hit $63.55/bbl, but then collapsed. As of Wednesday, the bearish trend persists and the 61 handle seems to be the target during the morning trading. The sterling is on the rise on Tuesday. The bulk of the support is definitely coming from weaker US dollar encouraging sterling to hit new highs. As for the greenback, the American currency is depressed now by lower state-bond yield, which can be a sign of upcoming recession in the USA. 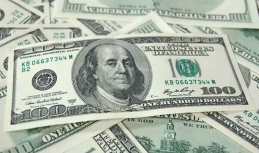 Today, the sterling-to-US dollar exchange rate soared above the 1.28 handle for the first time since late November. Additional upturn driver was the message of the advocate general of the European court saying that London can refuse from Brexit on a unilateral basis until the court makes a final determination. However, this scenario is unlikely to happen, but this move bolstered the sterling. 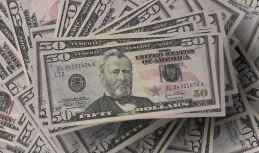 The US dollar has taken a protective position vs the majors at the start of the week. 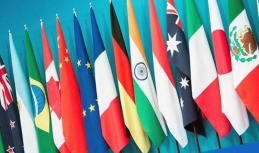 Sales improved mainly driven by the progress in the US-China trade talks that were observed during the G20 summit held in Buenos Aires last week. During the event, the parties managed to agree on a 3-month break, which in its turn gave grounds to expect a possible settlement of this dramatic trade conflict. The additional pressure on the greenback as a protective asset is coming from the agreement achieved by Saudi Arabia and Russia regarding oil production restriction, which in its turn supported demand for high-margin assets including oil. The Argentine capital, Buenos Aires, hosts the G20 summit that begins today. The summit's agenda is unemployment and fair trading issues. Moreover, it is quite possible that the members manage to make the first progress in the WTO reforming. The global economy will focuse on the progress of the conflict between Washington and Beijing. In particular, this will be the first meeting of Donald Trump and Xí Jìnpíng from when Washington picked a trading fight with China. 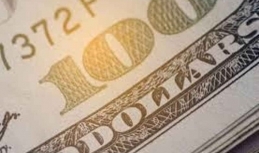 US dollar has briefly felt down due to the changed mood of the US Federal Reserve, which was confirmed by the minutes of the recent meeting released yesterday. Lately, Jerome Powell, US Fed Chairman, hinted possible slowdown in the interest rate revision, and other Fed members also stated that the authority could revise the pace of the monetary tightening. However, the US dollar has resumed strengthening today after the short-term selloffs, which supports the integrity of the bullish trend. The euro is losing grounds with the current rate against the US dollar reaching $1.1286. Consumer confidence index released by Conference Board on Tuesday weakened to 135.7, though it was well above the voiced forecasts. For reference, the October rate was recorded at 137.9. Under the normal environment, the greenback would slide but not this time. For now, the market will study the second Q3 GDP assessment. The first assessment suggested the increase of 3.5%, while new figures can be 3.6%. On Friday, the euro has kept attempting to maintain the yesterday's upturn driven by the careful stance of the US dollar bulls. As for the Italian issue, the euro generally stays aside it and reacts just sketchy. However, this factor naturally adds some occasional instability. With the recent euro-area PMI, the euro to US dollar exchange rate collapsed from the peaks above the 1.14 handle. Given the current state of the European economy, it will be hard to find a reason to prepare the market for the interest rate revision by the European Central Bank run by Mario Draghi and his team. The US dollar strengthening has slowed down following the Tuesday buying boom. 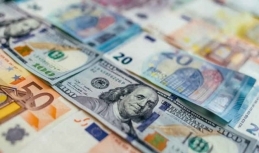 However, the greenback still shows good positions, as the European investors reportedly maintain optimistic mood even despite tough situation everywhere. However, the Brexit and Italian budget are still in the spotlight in the market being the key factors that prevent European currencies from soaring. 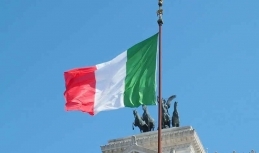 Italy has got one step closer to the fines from the European Commission citing sharp noncompliance of the Italian draft budget to the EU requirements. Brussels confirmed that Italy strongly violated the Stability and Growth Pact. As a result, Italy can face a fine of 0.2% of GDP for that. Along with budget noncompliance, the European Commission prepared a separate report about Italian state debt, which was rescheduled on fears of debt burden in the country. As a result, it was discovered that Rome failed to comply with EU lending rules as well. It is expected that Italy will face slower GDP at 1.1% in 2018 (1.6% in 2017), while in 2019 the rate will be 1.2%. At the same time, the EC believes that the budget deficit will hike to 2.9% and 3.1% in 2019 and 2020 respectively.